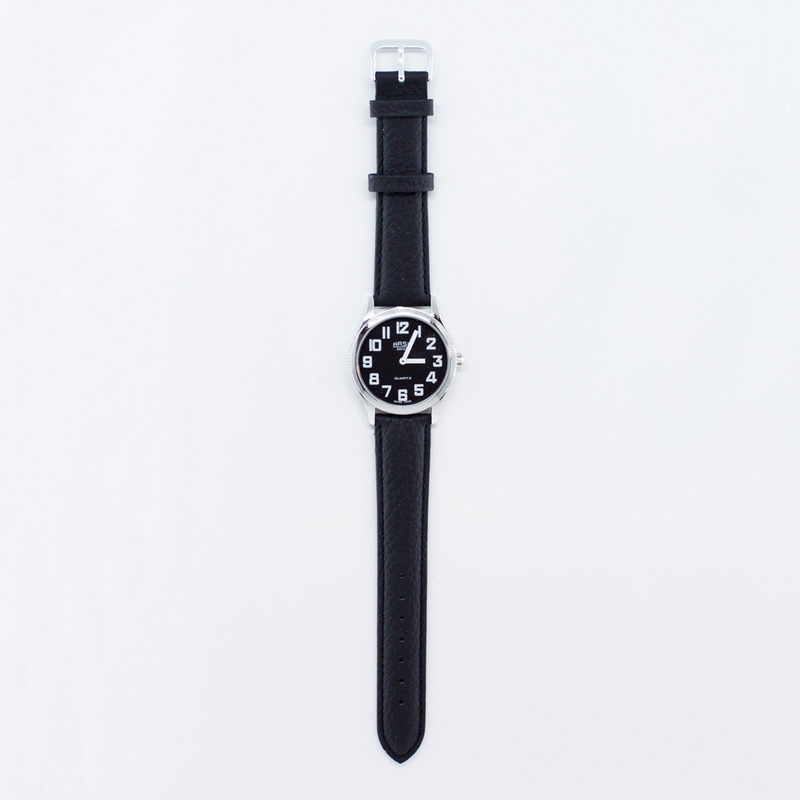 This low vision, excellent quality Swiss made chrome watch has a black face with 12 white numbers and comes with a leather strap. 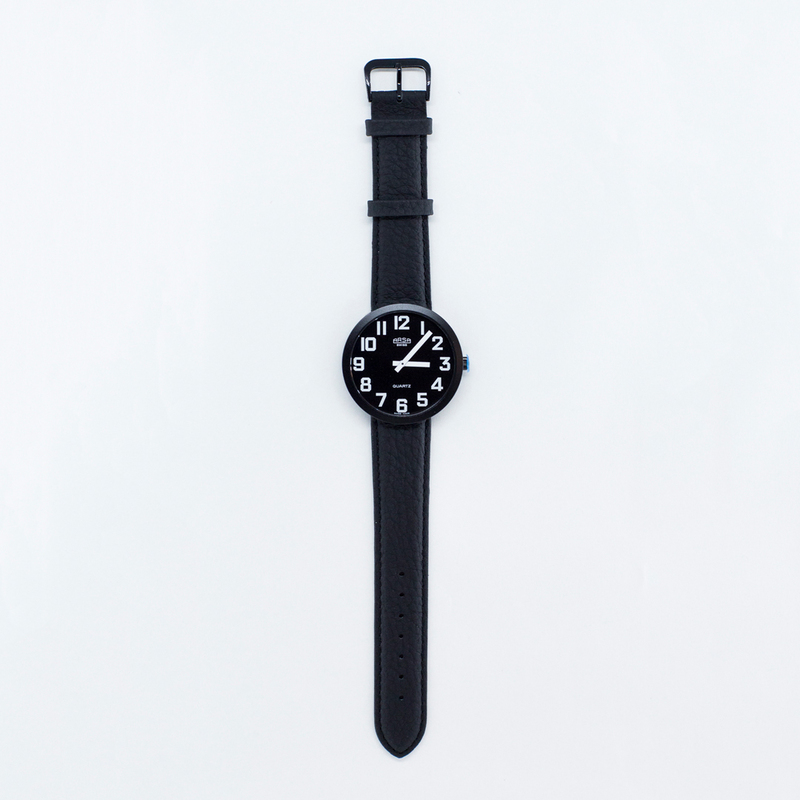 Keeping it simple with only an hour and minute hand makes it easier to read than other watches. 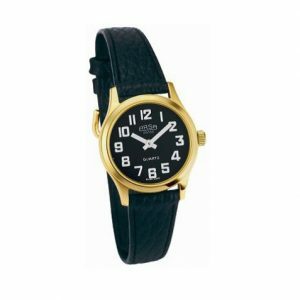 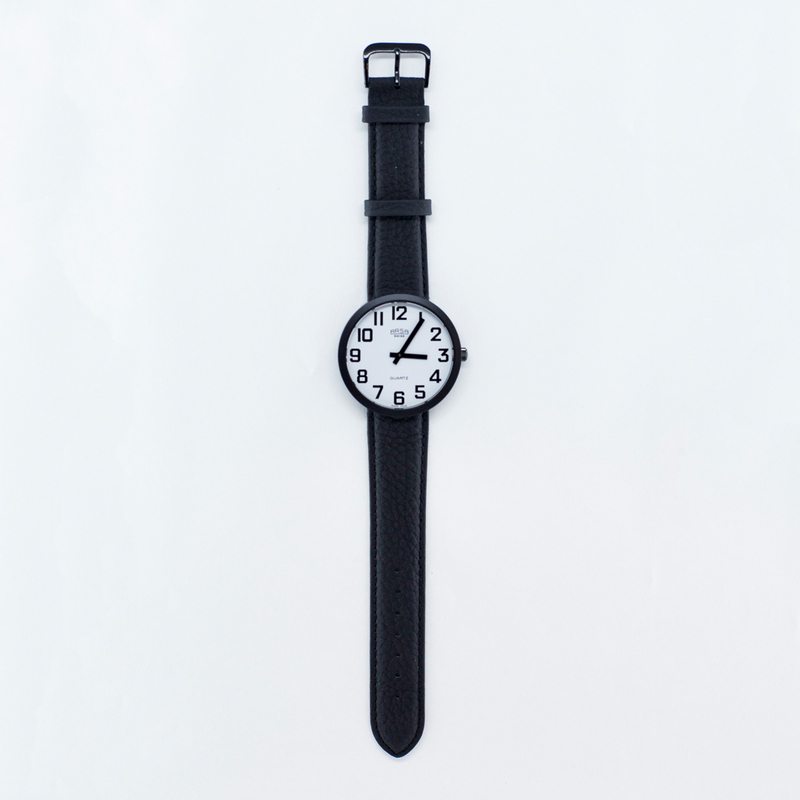 This low vision watch is manufactured in Switzerland by Auguste Reymond, the leading Swiss manufacturer of tactile and low vision watches for over 50 years.